The Chinese Government has allowed trade in 1,230.5kg of leopard bone between pharmaceutical companies – representing the bones of more than 100 leopards. This latest development comes on the heels of news of widespread trade in leopard bone wine in China and is deeply concerning as poaching to feed the Chinese market for big cat bones continues to decimate wild populations of leopards and other big cats. International commercial trade in leopards was banned by the Convention on International Trade in Endangered Species (CITES) in 1975. Given the huge amount of leopard bone involved in this transaction alone and the small size of China’s own leopard population, the bone being sold may derive from leopards killed illegally in the wild and smuggled into China before being sold through what amounts to a Government laundering scheme. In 2017, we highlighted major loopholes in China’s new Wildlife Protection Law which leave the door wide open for commercial trade in endangered species; one of these allows trade for the purposes of ‘heritage conservation’. Our investigators have seen Government documents that suggest this loophole is being used to sanction large-scale, commercial trade in leopard bone – and the same loophole could be used for other species including tiger bone, rhino horn and elephant skin. By permitting commercial trade in leopard bone, the Chinese Government is helping to maintain and stimulate the huge, unchecked Chinese demand for big cat bones and other body parts which is driving the killing of big cats worldwide. Parallel legal trade stimulates demand for endangered wildlife products, while complicating law enforcement and undermining demand-reduction efforts by legitimising the products in the eyes of the consumer. 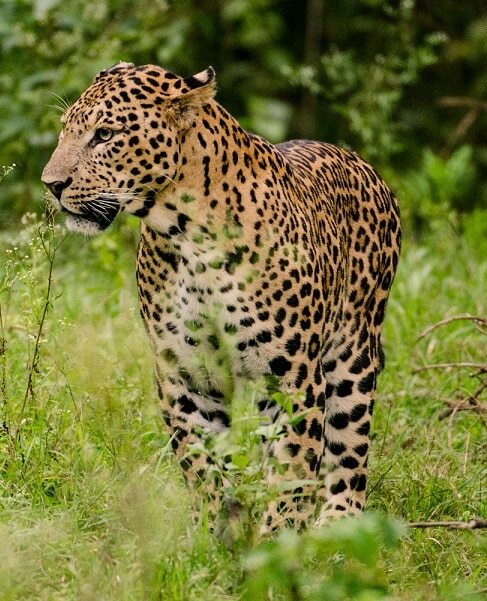 Leopards are Asia’s most traded big cat and poaching to meet demand for their body parts, primarily from Chinese consumers, is one of the biggest threats to their survival. More than 4,900 leopards have been seized from illegal trade since 2000 and this figure likely represents a fraction of leopard parts being trafficked. Demand for their bones for use in production of ‘tonic’ drinks and traditional ‘medicines’ is a major driver of this trade. 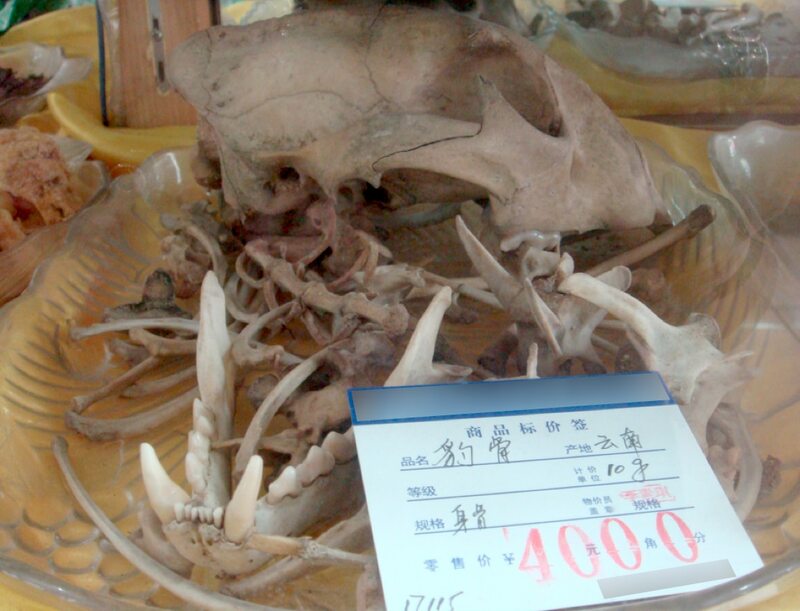 Consumers in China may illegally purchase leopard bone that is sold to them as tiger. The Chinese Government has also promoted the use of leopard bone as a substitute for tiger bone in traditional medicines, failing to address the devastation caused by demand for big cat products by shifting some of the market to another vulnerable species.